At Classic Car Lab we have the flexibility to offer classic car servicing in Leeds and Harrogate, Yorkshire and the North of England. We also cover Scotland, London and Manchester for classic car servicing. As well as offering classic car servicing we also offer classic car restorations in Leeds, Harrogate, Yorkshire and the North of England. We will restore any vehicle including Aston Martin, Jaguar, Ferrari, Lamborghini, Bentley, Rolls Royce and TVR. 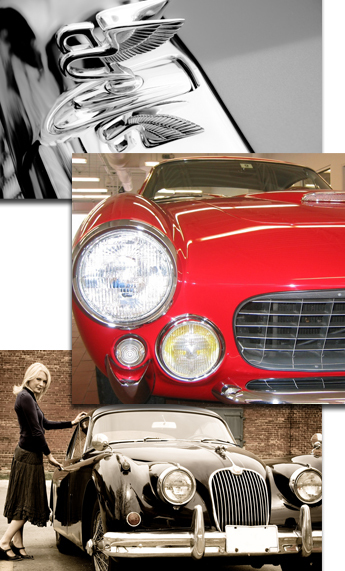 Classic Car Lab also offers a full range of services and restorations for Aston Martin and Jaguar. This includes Aston Martin DB2, 3, 4, 5, 6, 7 and 9 Aston Martin Vanquish, Aston Martin Vantage, Aston Martin Rapide, Aston Martin DBS, Aston Martin V8 as well as Jaguar XK120, XK140, XK150 and Jaguar E Type in Leeds and Harrogate, Yorkshire and the North of England. Classic Car Lab also offers a car trimming and upholstery service. Our car trimmers and upholsterers are available in many areas covering Leeds and Harrogate, Yorkshire and the North of England. We offer prestigious and quality sports car servicing in Yorkshire and the North of England. Additionally, Classic Car Lab offers classic cars for sale and also sports and prestigious cars for sale including Aston Martin, Jaguar, Bentley, Rolls Royce, TVR and many more.